The brief essays are divided into all of the sections one would expect, covering Chinese politics, international relations, economics, the environment, society, and history. Nonetheless, the essays struggle to achieve a unity of purpose. Instead of fully embracing the interdisciplinary backgrounds of the collection’s authors by bringing their perspectives into direct conversation with each other, the essays read like the beginning of conversations that regrettably go unfinished. Nominally intended for the general reader, many of the essays nonetheless are firmly rooted in esoteric academic interests. Underscoring the collection’s confusion of purpose is the fact that these are often the most insightful. Among these are work by Alastair Iain Johnston that finds the more that Chinese believe their country to be uniquely peaceful (as the country’s propaganda asserts), the more hostile their opinions towards other countries. Elsewhere, Yuhua Wang takes a fascinating quantitative look at the fall of Chinese dynasties over time. His finding that that emperors who designated a successor were 64% less likely to be deposed ought to be of interest to Chinese president Xi Jinping, who neglected to identify a successor at the most recent Party congress. On the big questions, there are few surprises. Readers are told that the most important question of all is whether China’s economic growth will continue. In domestic politics, Xi is portrayed as seeking to lead China away from the atrophying path that felled the Soviet Union. Surveying the region, Odd Arne Westad argues that current Chinese policies are “more likely to lead to regional conflict than supremacy,” a conflict that military expert Andrew Erickson sees as becoming less decisively one-sided in the United States’ favor as China continues to modernize its armed forces. Some predictable crises, like China’s rapidly aging demographics, the soft erasure of minority groups, and Taiwan’s increasing drift, are captured in these essays, but others, like mounting tensions in Hong Kong, are not. General readers do not need another book that gazes into China. What is most needed now is a book that can look outwards and holistically and clearly explain how China is affecting, in ways seen and unseen, nearly every aspect of readers’ lives – the politics and international relations of their countries, their economies, and their societies. For most of China’s rise, the country has been a specter, the invisible hand which fills store shelves and is blamed for lost jobs. But the experience of countries like Canada, Australia, and New Zealand demonstrate that China’s presence will be increasingly visible and felt. As interaction with China increases across all sectors of society, it is not just decision makers in Washington or multinational headquarters that need to understand this country. Deepening interactions with China bring with them the potential for mutual benefit, but they also bear the risk that ignorance of China will be exploited by Beijing wherever it has influence. It is essays like William Kirby’s, which examine the surge of Chinese students into American universities, that are needed. But even this essay ignores how some universities’ growing dependence on Chinese money creates vulnerabilities for Beijing to leverage, whether to influence academic dialogue or exploit research into cutting-edge topics to advance state interests. Anniversary anthologies such as these often are useful in marking a moment in time, capturing a new or emerging consensus of thinking. Yet, perhaps what is most striking about this collection is the absence of any critical examination of the fundamental assumptions about the West’s engagement with China. Apart from trade, there is very little material discussion about how China is shaping global norms and institutions; the chapter on the Silk Road reflects its author’s background as an anthropologist, but sheds little on what the Belt and Road Initiative portends. 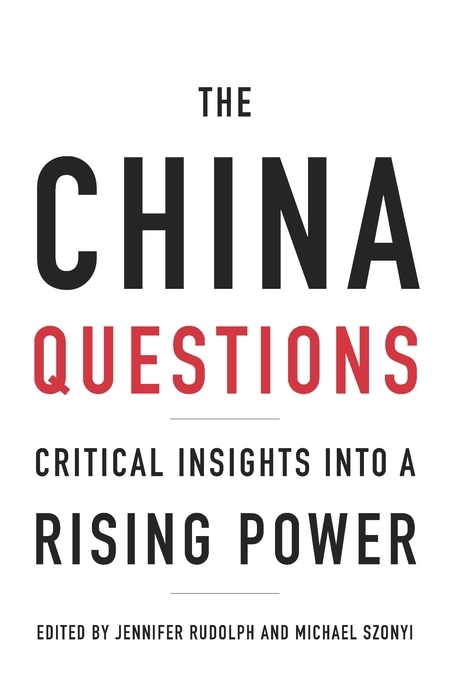 The result is a book that ignores almost entirely the most important shift in how the West thinks about China since the reestablishment of relations. The West is increasingly disillusioned that China’s prosperity will lead to democratization as had once been hoped. Independent of the Trump administration, the consensus is moving away from engagement towards confrontation. As the Communist regime forcefully pushes back against Western liberal ideas in favor of Chinese ones that it alone can arbitrate, one can see in this a sign that supporters of engagement were not wrong to hope that prosperity would spur China to become a freer society. Where supporters of engagement erred was in their estimation of the Communist Party’s ability to resist that change. At the same time, the failure of imagination that the Soviet Union would one day fall is central to so many of the world’s present geopolitical conundrums. China existed long before the Communist Party; it is worth envisioning what China will look like after it too.